These are two of the cruelty free vegan polishes I bought last week. Not really my typical go to dark glittery colors but I was drawn to them because they are funky. I think both will go great with a coat of black or dark purple shatter on top. I think they could also go together sponged on in a swirly pattern reminiscent of Pucci. 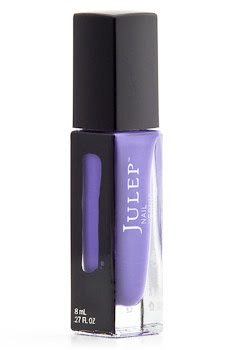 First up is Julep's violet color named Anne. It is super creamy and pretty! It is part of this month's Maven box. If you do not have a Maven box - use the link provided to sign up. The polish and body care items are vegan - the lip glosses are not. If you get a month with gloss you can skip the month and even cancel before things are shipped out! 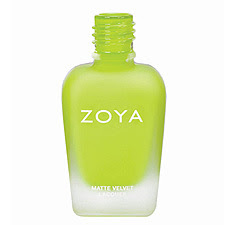 Next up is Zoya's matte neon green color called Mitzi - which I hope to get any day now. I am not a matte person but I think this would look cool with shatter polish over it! It is fun and funky! A pop of bright color over my black wardrobe!